"It just feels wrong to us to be playing Madonna songs and paying her royalties when the artist has shown un-American sentiments"
A Texas radio station is taking all Madonna songs off the air indefinitely after the singer's comments over the weekend. 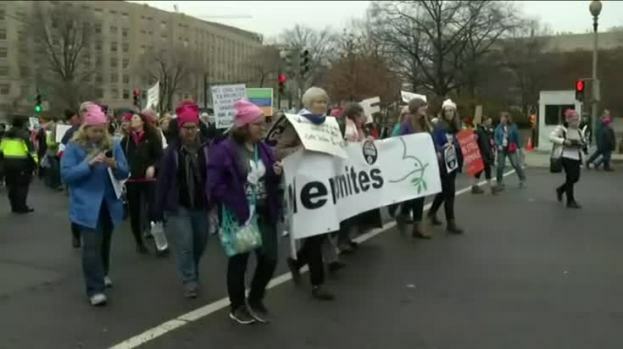 Texarkana's HITS 105, KTTY-FM 105.1, has banned Madonna's music in the station's local programming after the singer's speech at the Women's March on Washington Saturday. 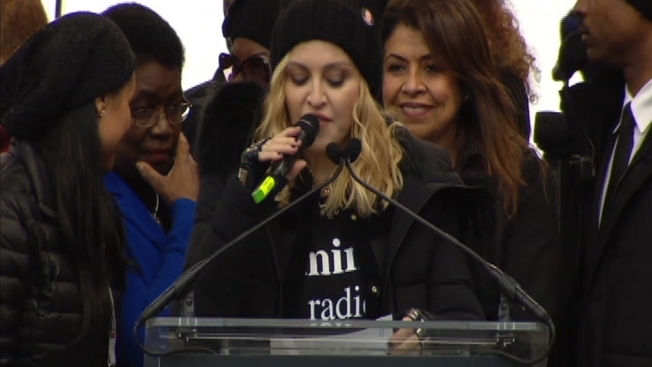 On stage, Madonna shared her feelings on the results of the recent election to the hundreds of thousands of protesters there in a speech that contained some swear words and a reference to thinking about destroying the White House. The comment about blowing up the White House was criticized by White House press secretary Sean Spicer as "absolutely unacceptable." Terry Thomas, general manager of the 60s, 70s and 80s hit radio station, said Tuesday that banning the singer's music is "a matter of patriotism." "It just feels wrong to us to be playing Madonna songs and paying her royalties when the artist has shown un-American sentiments," Thomas said in a statement. Madonna took to Instagram earlier this week to explain she was "speaking in metaphor" at the march. HITS 105 continues to promote the hashtag #nomoremadonna.